RT. Rev. F. S. Spalding, D. D.
Did not Job say "Oh that mine adversary had written a book?" I fear that this ancient bit of wisdom will come home to some of us who are engaged in the public discussion of the authenticity of the Book of Abraham. Yet, I am really pleased that you found both time and inclination to answer, as you did in yesterday's Deseret Evening News, my letter of last January commenting on your book, Joseph Smith, Jr., as a Translator. It seems to prove that you are not faltering in your efforts to satisfy yourself as to the truth or falsity of "Mormonism." May I add that you can not be any more determined than I am to know the truth, the whole truth, of "Mormonism." Let us have the truth! I have twice read your letter. With regret, for I would not wound your feelings. I am obliged to say that I am still unconvinced that you have proved, even remotely, that the Prophet Joseph Smith erred in his translations of the illustrations printed in the Pearl of Great Price. In fact your letter seems to me to weaken your case exceedingly. I noted, also regretfully, that your letter while directed to me is really a blanket answer, especially to the comments on your book by Prest. Joseph F. Smith. Elder B. H. Roberts and Editor J. M. Sjodahl. These men have certainly made forceful objections to your conclusion, but mine are very real to me, and I should have been pleased had you replied to them one by one. In your book you state with a number of reasons that "If the Book of Mormon is true, it is, next to the Bible, the most important book in the world." The importance of the inquiry is nowhere minimized by you. Moreover, in your dedication "To my many Mormon friends, who are as honest searchers after the truth as he hopes he is himself—this book is dedicated by the Author" you certainly imply that this tremendously important inquiry which may double the written foundations of the Christian faith is to be conducted in the fullest spirit of strict truth. In no other manner could it be pursued by an honest man. By your own words concerning the great importance and the spirit of the inquiry, nothing short of a scientific, i. e., a truly systematic and exhaustive, investigation could be tolerated. Whether Joseph Smith was in error is, according to your own reasoning, of little import in comparison with the great gift to Christianity could the Book of Mormon be shown to be true. In your letter you reiterate this thought, for by the accuracy of the prophet's translation of the hieroglyphics you would try the Prophet, the Book of Mormon, the whole system of "Mormon" belief and the successors in office of the Prophet, including the present president of the Church. Surely, a sane person was justified in expecting a scientific, i. e., a systematic and exhaustive, examination of this subject which you had chosen to explain to the world. I was amazed, therefore, to read in your letter, your vigorous refusal to have your book classed as scientific and your denial of any intent to conduct such an inquiry. May I ask then, with all respect, in what class does your book belong and what was really your intent? This inquiry you claim to be of transcendent importance to the world. If you were sincere in this, and I shall not question it, you certainly would not be ready to pronounce final judgment on the basis of eight or eleven letters written in answer to, only Heaven knows, what questions you propounded. I am half annoyed to think that you would ask your "Mormon" friends to give attention to an inquiry so superficially conducted. Meanwhile I am gratified that you agree with the charge I made that the argument was not scientific. You cannot mean it. If you intended only to place on permanent record the eight letters in your possession, you have no argument. Some one else must continue the work that you have only hinted at. You claim that you are incompetent for want of special learning to make an inquiry, such as I suggested. If so, you should not have undertaken it. But I know, as do all your friends, that your long years of training and your lifelong scholarly habits make you eminently able to pursue such an inquiry to the end, though it may require many years. Are you dodging the demand that you make this inquiry an honest search after truth? If so, you will tempt your friends to believe you insincere. You have undertaken the work, and have asked us to accept certain conclusions. You must now round up the investigation and make the conclusions convincing. 1. That you secured the opinions of only eight scholars in the somewhat inexact field of Egyptology when many more were available. 2. That there was evidence of an unscientific haste to get into print. 3. That you accepted without question the authority of your small jury. 4. That you ignored the evident differences in the opinions of the members of the jury. 5. That you failed to make minute comparisons of the figures and script in the hieroglyphics in the Pearl of Great Price with similar figures and script in the museums of the world. 6. That you virtually denied the symbolical meaning of all Egyptian funeral inscriptions. 7. That you refrained from mentioning the striking similarities between Joseph Smith's translation and your eight opinions. 8. That you disregarded the possible internal evidences of the Book of Abraham in support of the Prophet's translation. 9. That you were silent on the whole vital matter of Egypt and Abraham. 10. That you, probably unintentionally, prejudiced your witnesses. 11. That your eight letters are not even remotely studies of the matter under investigation. 12. That you accepted at their face value letters that are clearly prejudiced and ill-tempered. I submit these reasons to you again, for, as I view it, they completely vitiate your argument. You must give the subject a thoroughly scientific examination before you can expect a fully respectful hearing. You can not ask every reader, as you suggest in your letter, to do this work for himself. You have publicly chosen to do the labor, you must in justice to yourself and in fairness to the readers, complete it. Meanwhile, I am very glad to notice that, in your letter you make answer to charges 1 and 4 as above stated. I hope you will give the others your early attention. Dr. Mercer's attempt to harmonize the apparent differences among the jury is very fair, and so far as it goes, very satisfactory. I shall not allow myself to be drawn into any discussion of the meaning of Egyptian hieroglyphics, which you have agreed to make clear to us. As a layman, though an educated and, I hope, an intelligent layman, who has spent the larger part of his life in research in another difficult department of science, I am not impressed that your conclusion has received material support from the letters of Drs. Mercer, Barton and Peters. These scholars agree in giving you a mechanical and somewhat antiquated interpretation of a small part of plates 1 and 3. They frankly admit that they can do little or nothing with plate 2. Your scholars do not attempt to explain the plates, that is, to exhibit their symbolism and their probable historical derivation so that they may be used to test the translation which the prophet made of them as emphasized in the Book of Abraham. If, for argument's sake, we say that your scholars agree and are correct in their interpretation of the figures in plates 1 and 2, it would not be difficult to reconcile their version with that of the prophet. Suppose a photograph of Woodrow Wilson's inauguration should be handed down to posterity. Four or five thousand years hence the picture might be interpreted to be a scene of the inauguration of a president of the United States in the twentieth century, as four scholars have interpreted the plates of the Book of Abraham; or, as a scene of a particular president, Woodrow Wilson, as the prophet did in the notations to the hieroglyphics; or, the scene could be used as the basis of a discussion of the government, conditions, education, history and ideals of a great and magnificent nation—the method used by the prophet in the text of the Book of Abraham. All three interpretations would be correct, but the first would be easy, mechanical and unsatisfactory. I repeat that something more must be done than to label a few of the figures Osiris, Isis or Anubis before Joseph Smith can be placed in "the same class of fakers as Dr. Cook." You, yourself must do something more than to collect letters in this controversy. The real results of men's scholarship are found in their written books, scientific papers and formal addresses. The method that you have pursued in this inquiry is dangerously like that employed by Dr Cook in his "discovery" of the north pole. Were it worth while I might propound an endless list of questions. For instance: Did you observe that Dr. Mercer and Dr. Barton, the witnesses for the witnesses, do not agree? To one the meaning of the figures is absolute; to the other it varies with the historical period. How can it be that from Mr. Deveria to Dr. Barton, some imply that they are able to read the hieroglyphics easily; others only with difficulty, and some not at all? As a layman my distrust is awakened. Can it be possible that this learned jury has not sat down with magnifying glasses and dietionaries to work out as much as possible of the "badly" copied hieroglyphics, upon the safe interpretation of which so much of good for Christianity rests? Is it possible these men of science are dealing lightly with this mighty subject? Why is such Egyptian darkness hovering over the translation of Plate 2? Is it probable that Egyptologists can not read it? Some have so stated. If one set of figures can not be read, may it be suggested that others may as yet be poorly understood? Who says or has said that Abraham wrote the Book of Abraham in Egyptian? Abraham wrote the book, but in what language I think none knows. Even in his day scribes and linguists no doubt existed. Besides Abraham might have known more than one language. Some very ordinary people of today know three or four. Do you not think this inquiry would prosper more if your prejudiced jury could be induced to read the Book of Abraham carefully and really learn to understand its message? Would it be possible to find a scholar who could pass a scholarly opinion on this subject without taking a fling at "Mormonism" of which it is evident your jurymen know nothing? Frankly, I am heartily ashamed for the sake of scholarship, of some of the letters that you have published. If the authors write books and teach classes in the same spirit, scholarship will soon be held in contempt. Don't you think that the spirit of the whole inquiry is summed up by Dr. Mercer when he says, "It is complained that scholars did not interpret all the figures of these fac-similes and comment upon all of Smith's interpretations,—they probably feel as I did, that their time was too valuable to spend on such scientific work as that of Joseph Smith's guesses." In my letter to you, I said that such was the feeling of your jurymen. And that is your honest search after the truth of a matter second in importance to the Bible! To the acceptance of such an inquiry you have invited your "Mormon" friends! But why continue the guessing? When Egyptologists will respectfully and thoroughly examine the plates in the Pearl of Great Price and render their translations of figures and script, as best they can. even that "badly copied," and in full light of the religion of ancient Egypt, it will be time to deal with their findings seriously. This has not yet been done. You have done me the honor to send a copy of my letter to Dr. Mercer. I, too, have respect for any Harvard man. especially for one who has attained the scholarship of Dr. Mercer. I know the Harvard training well enough to tell you if you will call on Dr. Mercer in person and ask for the full truth, he will tell you as I have told you, that your research under the heading Joseph Smith, Jr., as a Translator is thoroughly unscientific. The spirit of the Jesuit Kirsher, several times referred to by the jury of Egyptologists, occasionaly enters into the best of us even in this late and enlightened day. The loose spirit of your methods of inquiry is well shown in your summary disposition of my first charge, that you secured the opinions of only eight scholars in the somewhat inexact field of Egyptology, when many more were available. To this you simply answer that eleven men of Egyptian learning have labeled approximately alike, the main figures in Plates 1 and 2; eleven witnesses, only, testified publicly to having seen and handled the plates from which the Book of Mormon was translated—hence, your jury is large enough. Certainly, it is an unexpected tribute that you pay to the authority of Joseph Smith. I should be interested to know just he far you are willing to submit to the example of the "Mormon" prophet. The witnesses to the Book of Mormon testify that they saw and handled the golden plates. Your jury testify that they saw and handled the golden plates. Your jury testify to the accepted inferences concerning matters submerged in the twilight of antiquity, into which new light is daily being thrown, often to the destruction of former inferences. Assuming, if you will permit me, that the two sets of men are equally honest, which evidence possesses the higher degree of credibility? Eleven men could scarcely disagree on the big fact that they saw and handled a series of metallic plates covered with inscriptions, though they might vitally disagree on the minor matters of the exact size of the plates, the nature of the inscriptions or the quality of the metal. On the other hand, eleven or eleven hundred men might disagree fundamentally on inferences concerning things and conditions of the past which never may be known directly by the present—unless indeed they slavishly follow some high authority, to which they should be subjected for examination. The only big agreement among your jury is with respect to the general meaning of Plates 1 and 2 and the use of Plate 3—and this agreement is not based on tangible facts like the handling of material things or the connected logical steps of thought that lead to certainty. Much as I dislike to disagree with you, I must insist that eleven witnesses, especially since they admit their examination is cursory, and are unwilling to make it extensive, are not sufficient to settle this question that roots in the uncertain past. I will predict that if your jury be enlarged, freed from prejudice and asked to go into the whole question of figures, script and names, in the light of the Book of Abraham, you will be greatly surprised. If such a thorough examination should point to the correctness of Joseph Smith's work, would you be as willing to enter the "Mormon" Church as you suggest I should be to leave it should the examination turn against the prophet's correctness? Moreover, the use you make of your eleven testimonies is vastly different from that made by the Prophet or the Church, of the eleven testimonies for the Book of Mormon. You rest your whole case on your eleven lightly written reports. No more can be said. Your childlike reverence of pointed authority is sublime! I envy you; for life has fastened upon me the habit of analyzing, for myself, every vital matter, irrespective of the authority from which it proceeds. "And when ye shall receive these things, I would exhort you that ye would ask God, the Eternal Father, in the name of Christ, if these things are not true; and if ye shall ask with a sincere heart, with real intent, having faith in Christ, he will manifest the truth of it unto you, by the power of the Holy Ghost." (Book of Mormon, Moroni: 10: 4). I received and read your book on "Joseph Smith, Jr., as a Translator" with the love of truth in my heart. After giving the matter considerable thought I wrote you as I had promised, my candid opinion of it, and pointed out the great flaw which to my mind invalidated your conclusion—that of careless superficiality. I specified 12 reasons, as above summarized, for my view, and 12 others are waiting to be presented when the first lot have been disposed of. In reply you ignore 10 of my reasons by insisting that your book is not and does not pretend to be a thoroughgoing search after truth. You again present letters from three scholars—how you must revel and riot in the effulgence of letter writing authorities—to support your contention that the jury of Egyptologists is fully agreed. You have added very little to your contention. You then proceed to meet my criticism that your jury, in view of the great importance of the subject and the uncertain and growing field of Egyptology, should have been larger, by saying that there are 11 men in your jury and only 11 witnesses to the Book of Mormon, and all that in face of the common knowledge that although the Book of Mormon witnesses actually saw and handled the plates, their testimonies are only one of many in establishing the truth of the Book of Mormon, whereas you base everything upon your 11 unwilling or prejudiced witnesses. You have chosen the wrong comparison, and my first charge stands intact. Your work has only been begun. You must either admit defeat or you must carry it on to the end. If you leave it where it is now, the historian of the Mormon controversy, on whatever side, cannot place you high. As I wrote before, let me write now. I have no fear of the outcome when Joseph Smith the Prophet is subjected to any fair examination, but the inquiry must be an honest search after truth. BY J. M. SJODAHL, EDITOR OF THE "DESERET NEWS"
According to the Book of Abraham, a translation of which was given to the world by the Prophet Joseph Smith, the system of worlds to which our globe and the nearest orbs belong is "governed" by a great central sun, first in the order of creation and located near the throne of God. This great world, the Book of Abraham informs us, rotates around its axis in a period of time equal to a thousand of our years, and this is "a day" according to the celestial measurement of time. In other words, the Book of Abraham teaches that as the moon revolves around the Earth, being "governed" by it, and as the Earth and the other planets with their satellites, move around the sun, so our sun and many other suns revolve around another center, and so on, until we come to the great center around which the entire cluster of stars which form our part of the universe revolves. The name of this great center is "Kolob." The wonderful astronomical truth here revealed was barely suspected by a few of the most advanced scientists at the time the Book of Abraham was published. Generally the stars were called "fixed" and our sun was supposed to be a "fixed" star. Now opinions have changed. It is known that the stars are in motion through space. It is known, for instance, that the bright double star Capella is receding from us at the rate of about twenty miles a second, or more than a million miles a day. Arcturus is thought to be approaching us at the rate of five miles a second. Vega and its companion star are approaching us at the rate of thirty-five miles a second, and they seem to mark the point in space, or very nearly so, toward which our solar system is traveling. And although the orbits of the larger heavenly luminaries are too vast for human measurement, or calculation, it is a logical conclusion that the motion observed is not aimless. The stars are not floating about at random, but they are "governed" by the same law which our planets and their satellites obey. So far science has come to accept as true the revelations given in the Book of Abraham. "The Earth rotates on its axis, and moves in its orbit by the power imparted to its mass by the solar forces; the deflective force from the line of the sun's motion, produced by the sun's rotation on its axis, and its progression around the center of momentum of the system to which it belongs. And, since neither the Earth, nor any other body of matter, has power without motion, so, in the sun's great power we have evidence of its progressive motion. The rotation of the sun of more than 6,900 feet per second would demand a velocity of progression of over 26,000 feet per second. Herschel, by observation, was led to conclude that 'the sun, somehow, moved toward Hercules with the velocity of the Earth, of 100,000 feet per second, and to infer that the sun actually describes a great orbit around some undiscriminated center.' Sir R. Philips analogically estimated the size of this orbit, and announced that with equal centripetal and centrifugal force, it would require an orbit of 162,865 millions of miles, performed in exactly 25,868 years, the period of the precession of the equinoxes. And as the earth and the other planets of this system rotate by reason of the central solar motion, and turn on their axes by being deflected from a right line in their respective orbits, Philips has shown that the sun and all other planets rotate, as a result of the operation of the same law of motion, and the fact that all its satellites move in elliptical (egg-shaped, to be exact) orbits shows that the solar center is advancing." But it has been asserted that the word "Kolob" is unknown to the Egyptian language. We confess our inability to perceive how that assertion can be proved, notwithstanding the fact that it has the support of so great an authority as Dr. A. H. Sayce; of Oxford university. It may not be found in any inscription, or text, so far examined by the scientists, but that does not prove that it was never used by Egyptians. Some scrap of literature in addition to the Book of Abraham may yet be discovered in which the word occurs. As an illustration, Dr. Michael Russell, who wrote his book about Egypt, in the year 1831, notes that at that time the numerals from 13 to 20 and from 60 to 100, in the demotic form of notation, had not been determined by actual discovery. But who would stake his reputation on such a proposition. Why do so in the case of the word "Kolob?" There is no complete list of words of any of the very ancient languages. But, let us suppose that the word in question is not of Egyptian origin. Indeed, it is very probable that it is not. Is that any argument against the genuineness of the Book of Abraham? Abraham spoke a Semitic language. The revelation contained in his Book concerning the construction of the universe was given to him before he went to Egypt. (Pearl of Great Price, page 61.) Naturally, therefore, the names of the stars were revealed to him in his own language. The question of interest to us now is whether "Kolob" is a Semitic word, properly used in the connection in which it occurs. One learned scholar, Dr. Mercer, asserts with a great deal of confidence that it is not Egyptian; "neither is it Semitic," he adds, "in the sense in which Smith used it." Is that true? This authority is rather positive. But with equal assurance we make the counter assertion that the word is Semitic and properly used, and, furthermore, that the Prophet Joseph is not responsible for its occurrence in the book of which he is but the translator. And this we hope to prove. The Arabic is, next after the Hebrew, the most important of the Semitic languages and a source of information concerning the meaning of Semitic words. Now it happens that in this branch of the Semitic languages the word "Kolob" has been retained to this day with the very meaning clearly attached to it in the Book of Abraham. The verb is "qalab,"which means to "turn." The noun "qalb" means "heart," "soul," "center," "core," etc. But the plural of "qalb' is "qulob" (or "qulob"), and this is the very name given to the great Center of our part of the universe. We append a photographic reproduction of part of a page of the dictionary by Messrs. S. Kassab and G. Hamman, containing the word with its English equivalents. We have spelled the word in this paragraph with a "q" because we believe it is the most common custom of so rendering the Arabic letter "qof," but that letter is also called "kaf," and it would have been equally correct to render it with a "k." There is another "kaf," though, in the Arabic alphabet, and it is customary, we believe, to render one with "q" and the other with "k."
Our learned critics have realized the importance of this controversy. They are aware of the fact that when it is proved that the names which occur in the Book of Abraham are true Semitic, or Egyptian words, correctly used, they will be compelled by the force of logic to accept as true the claim of the Latter-day Saints as to the inspiration of the translator, and the genuineness and authenticity of the books he reproduced. There is no escape from this conclusion. For the Prophet Joseph was not a scholar, in the generally accepted meaning of that word, any more than was Peter or John. Without the light of inspiration illuminating his mind he would never have been able to discover the truths revealed in the writings he was instrumental in giving to the world. "And I saw the stars, that they were very great, and that one of them was nearest unto the throne of God; and there were many great ones which were near unto it; and the Lord said unto me, These are the governing ones; and the name of the great one is Kolob." That is to say, as we read it, Kolob is not a single star, but an aggregation of stars, one of which is nearest unto the throne of God, and all of which together form the "great one"—Kolob; for "these are the governing ones." And that is the reason why the word is plural. It stands for a plurality of stars in the great star center. The name then is analogous to the Hebrew "mayim," or "shamayim," or "Elohim," all of which are plural forms, denoting respectively a plurality of lakes, or oceans, of water," of "heavens," and of persons in the God head. Here, then, we have another great astronomic truth indicated, which was not known at the time this book was translated. Astronomers now tell us that the spectroscope has revealed the fact that many of the brightest stars are double, consisting of one sun revolving around another, and that the group of stars known as the Pleiades consists of a great many large stars. How far distant this beautiful constellation is from us is not known. All that scientists can tell us is that it takes the light two or three hundred years to reach us from that part of the universe, or perhaps more, though it travels at the rate of 186,400 miles a second. But by means of photography it has been ascertained that there are over 3,000 stars in that group, where the naked eye can see only six or seven They all have the same general movement in the heavens, and by the fact that they are all of one type, the "Sirian," it is thought that they must be closely related in origin and development. Kolob, according to the Book of Abraham, is a group of stars. The name is therefore plural, for the same reason that we use the plural form of the word "Pleiades." We have in these paragraphs, considered only the word "Kolob." There are others which are very clearly Semitic. "Libnah" is Hebrew, and also Arabic. The verb is "laban." which means "to be white." It is found in "Lebanon," "Libnah," and many other words in the Semitic languages, and, what is of peculiar interest to us, it is said to occur in the Egyptian in the form "labitu." (Gesenius Hebreishes und Arameisches Handwoerterbuch.) "Elkanah" is Hebrew. "Korash" may be the Egyptian "Kerasher," and "Mahmackrah" may be a variation of the Egyptian "ma-ka-ra," meaning, we understand, "truth, the life of Ra." The Egyptians, in the early period, had the habit of using superfluous letters in their writings. They would represent the world "pyramid," "mer," for instance, with signs which might be read "mermer" instead of "mer." In the same way the word "babau," "hole," is found with a "ba and an "a" too many. This may account for the duplication of "Ma" in "mahmackrah," but this suggestion is offered merely as an hypothesis. There is one peculiarity about the work of God, both in nature and in revelation, and that is that the closer they are examined the more wonderful they appear in beauty, in perfection, in fullness. It is so in nature. The most humble flower, the most insignificant animal, no less than the brilliant star cluster, contains inexhaustible material for study and contemplation. It is so with the Bible. Every text is a gem, every chapter a treasure. It is the same with the Book of Mormon, the Pearl of Great Price, and the Doctrine and Covenants. Every part of these records contains some evidence of their divine inspiration. To the student who examines them with a heart open to truth they are full of information.—Deseret News. "While Joseph had been laboring in Kirtland, journeying to and from Missouri, teaching his brethren and being taught of God, there were moving to him, from one of the catacombs of Egypt, the writings of Father Abraham and of Joseph, who was governor in Egypt. "On the 7th day of June, 1831, a French traveler and explorer penetrated the depths of a catacomb near the site of ancient Thebes. It had cost him time and treasure and influence to make the entrance. After securing the license to make his researches, he employed more than four hundred men for a period of some months to make the necessary excavation. I When he was able at last to stand within this multiplied tomb, he found several hundred mummies; but only eleven of them were in such a state that they could be removed. He carried them away, but died on his voyage to Paris. By his will the mummies were bequeathed to Michael H. Chandler, his nephew, and in search of this gentleman they were sent through Ireland and finally across the sea. After two years of wandering they found their owner. Hoping to discover some treasures of precious stones or metals, Mr. Chandler opened the coffins or embalming cases. Attached to two of the bodies were rolls of linen preserved with the same care and apparently by the same method as the bodies. Within the linen coverings were rolls of papyrus bearing a perfectly preserved record in black and red characters carefully formed. With other of the bodies were papyrus strips bearing epitaphs and astronomical calculations. The learned men of Philadelphia and other places flocked to see these representatives of an ancient time, and Mr. Chandler solicited their translation of some of the characters. Even the wisest among of them were only able to interpret the meaning of a few of the signs. From the very moment when he discovered the rolls. Mr. Chandler had heard that a Prophet lived in the west who could decipher strange languages and reveal things hidden; and after failing, with all the learned, and having parted with seven of the mummies and some few strips of papyrus, bearing astronomical figures, he finally reached nature." There are few quotations in the whole pamphlet free from errors, some of which are quite material; for example, on page 16, in the statement of the Prophet Joseph relating to the presentation of the characters to Prof. Anthon the word "Egyptain" is omitted in the professor's description of the characters. Two pages of the pamphlet are herewith presented showing the errors that occur in a quotation from Cannon's "Life of Joseph Smith the Prophet." If our author displays such carelessness in reproducing quotations from a printed page, how are we to know that he had quoted his own authorities correctly from their manuscripts, or that he has presented the case to them correctly and without prejudice? Kirtland and presented himself to Joseph, with the four remaining bodies and with the rolls of manuscript. The Prophet, under inspiration of the Almighty, interpreted some of the ancient, writings to Mr. Chandler's satisfaction. So far as the learned men of Philadelphia had been able to translate, Joseph's work coincided with theirs; but he went much further, and in his delight Mr. Chandler wrote a letter to the Prophet certifying to this effect. "Later, some of the friends of the Prophet purchased the four mummies, with the writings. Joseph engaged assiduously to interpret from the rolls and strips of papyrus. The result of his labor was to give to the world a translation of the Book of Abraham. This book was written by the hand of Abraham while he was in Egypt, and was preserved by the marvelous dispensation of Providence, through all the mutations of time and the dangers of distance, to reach the hand of God's Prophet in this last dispensation. By this record the Father of the Faithful makes known what the Lord Almighty had shown to him concerning the things that were before the world was; and he declares that he did penetrate the mysteries of the Heavens even unto Kolob, the star which is nearest the throne of God, the Eternal One. * * * At the time when Joseph, aided by the inspiration of the Almighty, was enabled to make these translations, he was studying ancient languages and the grandest sciences, while he was also imparting instruction in the school of the brethren at Kirtland, that others than himself might have their minds fitted to grasp the sublimities of truth in theology and history and the laws governing the universe." 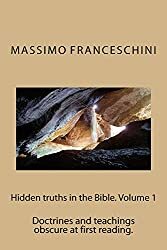 "The author, notwithstanding, still clings to the assertion that Joseph believed sincerely that he was inspired, and the pride with which he gave this translation to the world supports that conclusion." 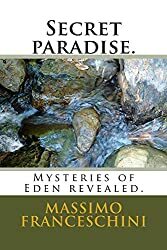 I have read with great interest your communication to Dr. Spalding which he recently published in a small pamphlet dealing with the claims of Joseph Smith the "Mormon" prophet. The last paragraph of your letter closes thus: "The text of the chapter, as also the interpretation of the plates, displays an amusing ignorance. Chaldeans and Egyptians are hopelessly mixed together, although as dissimilar and remote in language, religion and locality as are today American and Chinese. In addition to which the writer knows nothing of either of them." I confess that I do not know just what you mean by this statement. Perhaps you would be good enough to outline your meaning in greater detail for me. Kindly permit me to thank you for your courtesy. In course of a few days a reply came from Dr. Peters addressed from St.Michael's Church, 225 West Ninetyninth street, New York City. It was subsequently learned that Dr. Peters is not connected with the University of Pennsylvania and has not been for the past 20 years. These and other facts were set forth in an article over the signature of the present writer published in the Deseret News of March 15. New York, March 25, 1913. Under date of March 15, you published a letter from Prof. Pack to me. When I received it, I was quite unaware who the person was who had written me, the reply was written in haste and not for publication. Nevertheless, as Prof. Pack has published his letter, I think my answer to him had better be published also, and as a matter of courtesy and fairness I am sure you will be glad to do so. Editor of the Deseret Evening News, Deseret, Utah. New York, Jan. 28, 1913. Turn to the "Pearl of Great Price," page 52, paragraph 8; "it was the custom of the priest of Pharaoh, the king of Egypt to offer up upon the altar which was built in the land of Chaldea, for the offering unto these strange gods, men, women and children." Page 53, verse 13: Where the bed pictured in the cut No. 1, which is taken from Egyptian sources is described as an altar "after the form of a bedstead, such as was had among the Chaldeans." Section 14, 20 and 23 are also specific examples of this same confusion of Chaldean and Egyptian, which runs through the whole chapter—indeed the whole of the Book of Abraham. Each individual passage referred to exhibits the lack of knowledge with regard to Chaldeans and Egyptians independently, as well as the hopeless confusion of the two, which are, as stated, dissimilar and remote in language, religion and locality. I do not know in what other way to answer your letter, or what specifications you want. I thought I had made my statement quite plain. P. S. For information about the Chaldeans, turn to any modern encyclopedia, as for instance, the Encyclopedia Britannica, and look up the article under that heading. Their habitat was Babylonia. According to ancient methods of locomotion, and even today, that is from one to two months' journey from Egypt. There are several things which I desire to say concerning your statement to Dr. Spalding which he published in his pamphlet dealing with the Book of Abraham, and also concerning your letter to me under date of Jan. 28, 1913. I desire to be very frank with you and trust that in case you care to reply you will assume the same attitude. In the first place your letter to Dr. Spalding does not appeal to me as having the ring of mature thought. Such expressions as "apparently" and "if I forget not" are usually used as safeguards behind which one may seek protection in case of detected error. They are never used when one is sure of his ground. Your opening statement concerning the "comical" nature of the plates does not convince one that you have given the matter serious consideration. The statement flavors of flippancy or prejudgment. Again, the closing lines of the last paragraph are unworthy of you. You here say something that you either do not mean or cannot prove. Do you mean to say that the Chaldeans and Egyptians were as "dissimilar and remote in language, religion and locality as are today American and Chinese?" I urge you, dear doctor, fully to consider the meaning of your statement and then to give me your answer. We have school boys who can successfully controvert your present attitude. Your closing statement "In addition to which the writer knows nothing of either of them" is a very confusing one. Whom do you mean by "the writer?" Do you allude to Joseph Smith or are you making a confession? I had hoped to get some further insight into your meaning and in consequence wrote you on the 16th of January last, but your reply of Jan. 28, only tended to convince me the further of the superficiality of your examination. The references you make are correct, but to me your conclusions are wholly unwarranted. And further, dear Doctor Peters, do you really mean to state that this alleged confusion "runs through the whole chapter—indeed the whole of the Book of Abraham?" Your statement would almost lead one to believe that you had not read the book. The post script to your letter is discouraging. (I wonder why it was omitted from the copy forwarded to The Deseret News for publication?) Out here in Utah we do not rely upon encyclopedic articles as ultimate sources of information. We usually seek something slightly beyond that to which our school boys have access. The information you furnish me concerning the habitat of the Chaldeans is profound, almost beyond human comprehension. And again, will you kindly explain what you mean in your letter to The Deseret News by stating that when you received my letter you were "quite unaware who the person was who had written?" Did I not write you upon my professorial letter heads, and did you not in turn address me accordingly? Now, my dear Doctor Peters, I want you seriously to reconsider your statement concerning the Book of Abraham, and then to give me your mature conclusions. I would like you to go back into Chaldean and Egyptian history for your information. I would be glad to receive references (not encyclopedic) upon which you base your conclusions. In other words, work out the history of Abraham's time, the conditions under which the records were made and the long line of modifying conditions through which they probably passed in being transferred to us, and then tell me whether the "plates contained in the Pearl of Great Price are rather comical." Above all things let me urge upon you the following: Firstly, nothing short of thoroughness will satisfy us, secondly, we must have proof for statements made and, thirdly, the farther you go into the matter the better we shall be pleased. I trust that in the very near future Dr. Peters will see his way clear further to explain his attitude in this matter. IF THE average reader of this piece should be instructed to set out on a search for the oldest portrait in the world of a Jew I wonder if he would be tempted, supposing he had gained his impressions from Bishop Spalding's pamphlet on the "Book of Abraham," to make his search through the tombs of the Egyptian pharaohs? And if the same reader, again, should be instructed to set out on a search for the earliest reference in any literature of the world to the Holy City of the Jews—Jerusalem—would he, having read Bishop Spalding's pamphlet, turn hopefully to the literature of Egypt as a reasonable place to expect to make such a find? I have before me as I write the bit of poetic description in which the earliest reference in the world to Jerusalem is made. It is in Egyptian hieroglyphics; and what is still more isgnificant, the Egyptian who wrote the piece wrote of his joy on getting to Jerusalem because he found there people who could speak his own Egyptian language and people who had known him in his own home on the banks of the Nile! There is also on my desk as I write the earliest known portrait of a Jew. It is of a Semite who lived a thousand years before Abraham and yet he wore a coat of many colors and carried a water-skin on his back and a shepherd's musical instrument in his hand. And the portrait was made of him upon his arrival in Egypt over the same pathway Abraham took. Before beginning to discuss these two documents that have come down to us from the very cradle-days of history, I want first to call attention again, as I have done in previous articles, to the assertion of Dr. James H. Breasted of the University of Chicago to the effect that the Egyptians "knew nothing of Abraham's God or Abraham's religion." And I wish also to recall the still more remarkable assertion of Dr. John Peters, who signed himself while serving on Bishop Spalding's jury as from the "University of Pennsylvania," whereas as a matter of fact he had been for many years an Episcopal clergymen in New York. The assertion of Dr. Peters was that Joseph Smith's translations from Egyptian papyri roll displayed an "amusing ignorance" because "Chaldeans and Egyptians are hopelessly mixed up although as dissimilar and remote in language, religion and locality as are today American and Chinese." The reason for bringing in Dr. Peters just here is that in a volume by Flinders Petrie, another of Bishop Spalding's jurymen, I have just been reading the narrative of a king of Chaldea who was also at the same time the pharaoh of Egypt, and this long before Abraham's time. Not only did Petrie tell of this Chaldean who was Egypt's pharaoh, but he told of at least three other Chaldeans who had so served in Egypt! I have already referred to Dr. Sayce and the view he gives of the period, preceding the visit of Egypt by Abraham, in which Chaldea was a province of Palestine, this period being followed by another era in which Palestine was a province of Egypt, so that Chaldeans came freely into Egypt and the Chaldean culture and many Chaldean words came with them. Petrie, by dealing extensively with both of these periods gives us a picture of the sources of Egyptian culture which leaves not the remotest credence to any assertion that the Chaldeans were a remote people from the Egyptians or that Abraham's religion was strange and remote from contact with the Egyptians. You can measure the geography of the situation with a single glance at any school map. A pencil held to the scale will show that it was only 300 miles from Thebes, the capital of the Egyptians, to Jerusalem, the capital of Palestine, and only 500 miles from Jerusalem to Babylon and Ur, the chief cities of the Chaldeans. You have then, in considering the fusing of Abraham's people and the Chaldeans and Egyptians—which without the slightest doubt went on continuously for a period of over 1,000 years—to deal with an area only 800 miles in width—less than the distance from Salt Lake to Omaha with traffic conditions very similar to those existing in the pioneering and pre-railroad days of the west. Flinders Petrie tells the story with a great wealth of detail. To deal with it merely in headlines, we find that in the third millennium B. C. the people of Chaldea began to stir themselves. In successive waves of migration they swept through the fertile Euphrates valley from their chief city of Ur. After overflowing the Euphrates district they moved in successive migrations down the pastoral plains at the back of Syria. They reached and populated simultaneously the island of Cyprus, the Mediterranean shores, and the land of Egypt,—and this long before Abraham. For a time the kings of Babylon in this period ruled also in Egypt, and the Children of Israel's invasion of Egypt was merely the final and triumphant expression of this migratory movement. The end of the migrations came, as Flinders Petrie points out in the rise of the pharaoh "who knew not Joseph." Petrie does not depend upon any biblical learning to make this fact clear. He bases the conclusion entirely upon the evidences of the Egyptian monuments and Egyptian literature, independent of the Bible. And indeed any writer upon Egypt will tell you how the native princes of Egypt, who for long centuries were in subjection to the Hyksos, or shepherd invaders from Asia, finally rose in their wrath and cast them out. And how, after casting them out, the Egyptians pursued them all the way to Palestine and Babylon, and ruled the world through to the Euphrates, thus exactly reversing the situation of the earlier centuries in which the people of the Euphrates had ruled clear through to Egypt. The Children of Israel swinging into Egypt at the crest of the wave merely remained till the ebb set in and so were persecuted. Now this period of empire was the greatest period Egypt ever enjoyed. The world as then known to the Egyptians was looted to enrich the temples at Thebes, which in that period were built or greatly expanded and enlarged. Artists from all the territory of the empire were called to Thebes to beautify the cities and the palaces of the pharaohs. And towards the end the Children of Israel were forced to build more cities for the native Egyptian kings. From these usual accounts of Egyptian history you find that this reverse-movement in migrations out of Egypt started in the year 1580 B. C.—the year in which Prince Ahmes I of Thebes drove the Shepherd Kings out of Egypt and pursued them into Palestine. Ur, the place of his birth 2110 B. C.
The Israelites entered Egypt 1650 B. C.
The exodus 1220 B. C.
The oppression commenced 1580 B. C.
I have already pointed out that the end of the Hyksos rule and the beginning of a native Egyptian rule was in 1580 B. C. That date also, as you can readily see from the above table, was a date at which the biblical narrative and the evidences of the Egyptian monuments fuse and make mutually corroborative history. It was the date when one Egyptian dynasty closed and a pharaoh came to the throne who "knew not Joseph," or any of his Asiatic kind. The great Empire of the Egyptians lasted from 1580 B. C. to 945 B. C.—a date just 30 years beyond the time when the Children of Israel, after wandering under Moses and Joshua and adopting the monotheistic worship which Moses taught to them, undertook the erection of the Temple of Solomon. In these mere glimpses at the literature of ancient Egypt in its relationship to the "Book of Abraham" controversy there is not space to develop the details, but here are some of the chapter headings in which Flinders Petrie discusses the mutual relations of two people who according to good Dr. Peters were as remote as Americans and Chinese and who according to Breasted knew nothing of each other's religion. The volume by Petrie was published only two years ago, and it therefore has the advantage of great authority due to its very recent date as well as to the fact that it is from the pen of one of the greatest of the archaeologists at work in Egypt. The volume is entitled "Egypt and Israel." The Egyptians and Semites Mixed. Israel not All in Egypt. Family Links of Egypt and Judah. The Babylonianizing party in Egypt. The New Jerusalem in Egypt. Now, while we who had not heretofore pried much into Egyptian history had been considering Abraham to be a sort of father of our history the Egyptian perspective shows us that he came to Egypt at the close of the fifth age of Egyptian history and that after him there were only three ages to follow—the empire, ushered in while his people were still there and bringing with it the oppression: the Greek conquest and reigns; and the Arabian conquest which brought a final end to all of Egypt's glory. Before Abraham then had been that period in which the pyramids arose, became ancient, and were forgotten, as to their meaning and religious significance. Also the Egyptians had passed through the period of worshiping a god in each district, and had worked towards a monotheistic idea with the attributes of all their gods concentrated in a single chief god. "Abraham was a person of great sagacity both for understanding all things and persuading his hearers and not mistaken in his opinions: FOR WHICH REASON HE BEGAN TO HAVE HIHGER NOTIONS OF VIRTUE THAN OTHERS HAD AND HE DETERMINED TO CHANGE AND TO RENEW THE OPINION ALL MEN HAPPENED THEN TO HAVE CONCERNING GOD; FOR HE WAS THE FIRST THAT VENTURED TO PUBLISH THIS NOTION THAT THERE WAS BUT ONE GOD, THE CREATOR OF THE UNIVERSE; AND THAT AS TO THE OTHER GODS IF THEY CONTRIBUTED ANYTHING TO THE HAPPINESS OF MEN THAT EACH OF THEM AFFORDED IT ONLY ACCORDING TO HIS APPOINTMENT AND NOT BY THEIR OWN POWER. "For which doctrines, when the Chaldeans and other people of Mesopotamia raised a tumult against him, he thought fit to leave the country; and at the command and by the assistance of God he came and lived in the land of Canaan. And when he was there settled he built an altar and performed a sacrifice to God. "Now after this when a famine had invaded the land of Canaan, and Abram had discovered that the Egyptians were in a flourishing condition he was disposed to go down to them both to partake of the plenty they enjoyed. AND TO BECOME AN AUDITOR OF THEIR PRIESTS, AND TO KNOW WHAT THEY SAID CONCERNING THE GODS: DESIGNING EITHER TO FOLLOW THEM IF THEY HAD A BETTER NOTION THAN HE OR TO CONVERT THEM TO A BETTER WAY IF HIS OWN NOTIONS PROVED THE TRUEST. "FOR WHEREAS THE EGYPTIANS WERE FORMERLY ADDICTED TO DIFFERENT CUSTOMS AND DESPISED ONE ANOTHER'S SACRED AND ACCUSTOMED RITES AND WERE VERY ANGRY ONE WITH ANOTHER ON THAT ACCOUNT, ABRAM CONFERRED WITH EACH OF THEM, AND CONFUTING THE REASONINGS THEY MADE USE OF, EVERY ONE FOR THEIR OWN PRACTISES HE DEMONSTRATED THAT SUCH REASONINGS WERE VAIN AND VOID OF TRUTH. WHEREUPON HE WAS ADMIRED BY THEM IN THOSE CONFERENCES AS A VERY WISE MAN, AND ONE OF GREAT SAGACITY, when he discoursed on any subject he understood; and this not only in understanding it but in persuading other men also to assent to him. HE COMMUNICATED TO THEM ARITHMETIC AND DELIVERED TO THEM THE SCIENCE OF ASTRONOMY, for before Abram came into Egypt they were unacquainted with these parts of learning, FOR THAT SCIENCE CAME FROM THE CHALDEANS INTO EGYPT and from thence to the Greeks also." One of the fascinating things of prying a bit into Egyptian lore is the constant surprises one meets in finding how alive today are many of the things brought into the world in the ancient millenniums of Egyptian rule. I passed, for instance, on Broadway a day or two ago a young woman wearing a hat that is a forerunner of the newest vogue. Yet it was a hat fashioned exactly after a crown that graced the head of many Egyptian famous queens. It was the vulture-crown that the women of Egypt wore in Joseph's day—that is the women of royalty. Last winter the tableau drama "Joseph and His Brethren" was produced in New York. The chief actress wore this vulture-crown as part of a stage setting that faithfully reproduced a temple of the Theban pharaohs when Joseph arrived as the Hebrew slave. And now of course that "new style hat" has had to become the vogue after the usual manner of the startlingly new things that famous actresses wear in these play-going days! And so in this one little minor matter we flash back our styles over many millenniums! Nor is that all one may observe of things around about us that we owe to Egypt. Who would have suspected that such a completely Jewish name as Moses is not Jewish at all but purely Egyptian. We write a typical Egyptian name, Amen-hotep, and recognize a pharaoh's title. Write it Mouses and you get the Egyptian original which means "saved out of the water." At least that is what Petrie says it means! And this concerning the proclaimer of the ten commandments and religion we know today as sacred throughout Christendom and which Breasted and Peters would have us conclude was utterly aloof from Egyptian contact! If you had taken your Egyptian conceptions from the Spalding pamphlet would you expect, in looking through reproductions of famous temples built by the Egyptians, to find a temple containing baptismal fonts—that is fonts for ablutions after the exact manner of the Jewish and the older Semitic ritual? And would you expect to encounter pictures of the ruins of a fortification built only 20 miles away from the chief center of Egyptian rule in entirely the Chaldean style—a style of earth entrenchments for defense from archery that the Egyptians never learned? Yet to quote from Petrie: "There has fortunately been found 20 miles north of Cairo a fortress that is completely unegyptian in character, although it is completely similar to the fortresses built during the Jewish age in Syria." Petrie goes on to explain that the Syro-Mesopotamian troops from the Euphrates valley first reached Egypt as mercenaries and gradually grew in strength through subsequent migrations till they gained authority and gave us the Hyksos dynasties of Pharaohs. "Fortunately," he says, "we have preserved the name of one of the Syro-Mesopotamian intruders who rose to the Egyptian throne. His name appears as Khendy on a cylinder of green jasper. On his head is the double crown of Egypt. An Egyptian waist cloth is wrapped about him. He is shown presenting the 'sign of life' (an Egyptian symbol carried by almost all rulers and gods and goddesses) to a Babylonian who stands before him. Beyond the Mesopotamian is an Egyptian who holds a papyrus plant. The king's name is enclosed in a cartouche and scattered hieroglyphics are around it." A cartouche, it should be explained is the device by which all Egyptian pharaohs inclosed their titles in writing them down. Petrie adds that on a well known tablet now in Paris the name of this king is given as well as the name "Rane-maat-ne-kha" and "the usual Egyptian titles." "All this" he says "points to THE BABYLONIAN HAVING COME INTO EGYPT WHEN THE COUNTRY WAS STILL WELL ORDERED AND IT POINTS TO HIS HAVING SERVICE AS A REGULAR EGYPTIAN KING. Some scarabs of the king have been found." It should be understood of course that scarabs were as typical of Egypt as the green Tarper vase was typical of Babylon! "Although the date is 1,000 years before Abraham this immigrant into Egypt was one of the same race and probably led much the same life. The portrait therefore is invaluable as an historic type of the great Semitic invasion of Egypt. "Hagar was an Egyptian slave and Ishmael, the son of Abram, was therefore half Egyptian. His mother chose an Egyptian wife for him and therefore the race that Ishmael founded was three-quarters Egyptian! "The ceremony of circumcision was practiced in Egypt for 2,000 years before Abram performed the rite upon Ishmael, the Egyptian Hagar's son!" And later upon Isaac, thus founding out of his Egyptian contact a permanent and distinctive Hebrew custom! And concerning the temple for Jewish worship built by Egyptians Petrie says this: "The nature of the changes introduced into the religion of the Israelites by the Mosaic system has been somewhat explained in the remains of a temple for Semitic worship at Serabit al Khadem. Although constructed by Egyptians who went there to mine for turquoise the character of the ritual was in each respect not Egyptian but adapted to the Semitie nature. There were three tanks for ablutions (which may still be seen in pictures of the ruins) and conical stones which are even yet a feature of Syrian worship." We have become familiar in the Book of Abraham controversy with the question of the significance to be attached to lotos flowers such as are shown at various places in the pictures from the Book of Abraham. That matter can well be cleared up as to general Egyptian usage. Petrie tells us that lotos flowers were the emblem of royalty, and that that is all they signify. Queens carried them in the festivals and a sprig of them in the hand signified that the person carrying them was a royal person. The significance of the outstretched wings of a bird also was brought up. Observe here how Petrie tells us that the Egyptian custom as to that matter had vital influence upon the Hebrew custom. Thousands of Egyptian figures exist, it should be remembered, in which the goddess Isis stands with wings outstretched behind the god Osiris and sometimes the wing tips meet the wing tips of her sister goddess. Maat, standing on the other side of the god. Symbolically however the wings and the goddesses too signified nothing but the protecting power of mercy and truth, for which the goddess figures stood as ideograms. AND THE HEBREWS CARRIED THE CUSTOM DOWN IN THEIR OWN RELIGION EVEN TO THIS TIME AND IT SPREAD THROUGHOUT THE WORLD; FOR HOW OFTEN IN CHURCHES DO YOU SEE CHERUBS WITH OUTSTRETCHED WINGS ABOUT AN ALTAR OR ABOVE THE MERCY SEAT? Here is the Petrie version of the custom's origin: "In the holiest of all things, the Ark of Yahveh of the Hebrews, there were cherubs, one on each end of the mercy seat with wings covering the mercy seat. This agrees with the description of the Egyptian ark of the gods with figures of the goddess Maat with wings covering the ark." And the idea is frequently met with in scripture as indicated in the phrases, "mercy and truth are met together," "for thy mercy and for thy truth's sake." Petrie at great length develops the probability that the ark of the Hebrews contained in the Holy of Holies the same set of scales that are shown in the Egyptian judgment scenes to express symbolically the same idea the Egyptians sought to express by that device of the justice of God's judgments. So much for influences that worked out of Egypt into the life and religious customs of the Jews. Concerning the other side of the story—the impression the Semites made upon the Egyptian people whom they ruled for centuries—I have tried to give a few slight glimpses of what the record shows. With this piece I enclose two pictures from originals in the Metropolitan Museum of Art, one from the period in which native Egyptian power reached its climax, and the other from the period of which Semitic influence reached its climax. The most beautiful art object I have seen from Egypt was a vase delicately done after a manner strange to Egyptian art of any previous age. The art object was a vase surmounted by a queen's portrait and this queen was Queen Thiy; it was during her husband's reign that the zenith of the Empire was reached. Queen Thiy's influential position must have been one of wide celebrity for in the famous Babylonian tablets found in the ruins of the city of Khu-en-Aten (her son) there is a communication from Dushratta, king of Nitanni to Queen Thiy herself "asking her to interest herself in a matter the king says she must know all about." Everywhere one turns in this later literature about Egypt one finds abundance upon abundance of narrative dealing with contact between Abraham's people and the Egyptians and the Chaldeans both before and long after Abraham's visit to Egypt. It would be tiresome to repeat it all, but merely to show how completely it is the pervading view of modern writers, let us glance at one paragraph from the work of Miss Buttles, who by the way is a relative of Theodore Davis, the greatest of the archaeologists whom America has contributed to the Egyptian field. In company with Mr. Davis she spent years in Egyptian research and was honored through a preface to her volume from the pen of Maspero, dean of the corps of Egyptian excavators. "From this earlier background the Eighteenth dynasty blossomed out as the golden age of Egypt. Arts, crafts, literature were in the zenith of their glory and its monarchs were not only the most brilliant personalities of its history but they have so stamped themselves and their times on the countless records of the period that even after the lapse of more than 30 centuries they seem to live and to appear as human beings. "Suddenly released from the old order of rigid laws (Miss Buttles is here referring to the religious revolution that gave us a monotheistic pharaoh) the arts and crafts make a leap forward and find an expression wholly new to Egypt. The literature and poetry of the age, the extraordinary approach to modern thought in its philosophy, the monotheistic character of its religious principles, the admirable fidelity to nature of all its expressions make the reign of Kuh-en-Aten, the heretic (from Egyptian polytheism) one of the most remarkable of ancient history." So that readers of this piece may judge exactly what the contrast in art development, for instance, was, I am furnishing with this two photographs of original art objects which are in the metropolitan museum of art. One is a portrait done at the zenith of the Egyptian period before the coming of Abraham, the other a portrait done at the zenith of the influence of the Children of Israel. The strong contrast in art power of the two pictures will surely be readily observed. The listing of items which prove the existence in Egypt at Abraham's time of a cosmopolitan culture in which previous Egyptian culture collapsed, grows tedious. But just to complete the series here entered upon let us take a final glance at another department of life in which the situation made itself evident. The beautiful Queen Thiy, whose picture in the Metropolitan Museum is said by great art critics to be almost unequaled as a specimen of idealized portraiture, was only one of the wives of the great Egyptian conqueror whose queen she was. Of the other wives this is the roster as given by Miss Buttles: "a daughter of Satharna, a daughter of Dushratta, a sister and a daughter of Kallimasen, and a sister of Buraburiash, kings of Babylonia." And from Petrie and Sayce we learn that these Babylonian princesses who were the wives of Egyptian pharaohs often brought long trains of followers and servants with them to the court which as Peters told us "was as remote from" them as China from America! I said: "This is the taste of death. That chief among them who had been in Egypt, recognized me. He gave me water, he cooked for me milk. Good was that which they did for me. I spent a year and a half there. For thou hearest the speech of Egypt." The Egyptians who were there with him bare witness of me. Dr. John A. Widtsoe has called our attention to the haste with which the scholars turned off their opinions about the Book of Abraham and the need for more scholarly research before reaching final conclusions. The conclusions of the American branch of the Spalding jury are surely upset by the views given here of Egyptian history. Another worth while phase of the matter would perhaps be now to turn to hypocephali and collect and compare all of those interesting circular discs to be had in the museum. Some of those who wrote for Bishop Spalding intimated that there are thousands if not millions of them to be had, but more conservative estimates place the world's total supply at 40. Maybe a fairly complete set of pictures of them could be obtained and all the known data about each be made accessible for those interested in the Book of Abraham matter. I would welcome data on this subject but I doubt if any scholars have given any detailed consideration whatever to the hypocephali. In another part of this number of the ERA the reader will find a somewhat lengthy article by Dr. Robert C. Webb, reviewing certain points of a discussion, opened by the Rt. Rev. Bishop F. S. Spalding, on the very ancient piece of literature given to the world by Joseph Smith under the title, "The Book of Abraham." A few months ago, Bishop F. S. Spalding published a little pamphlet on "Joseph Smith, Jr., as a Translator," the purpose of which was to prove by the testimony of scholars that the Prophet Joseph did not, and could not, give a correct translation of the text engraved on the Book of Mormon plates. The Bishop, it is said, gave a liberal portion of his time and thought for some years to this literary production, fully expecting that when it should appear in print, it would signal the end of the Church of Jesus Christ of Latter-day Saints. The little pamphlet created some interest both among Church members and others, as evidenced by numerous replies, or criticisms, which have appeared in print. The reasons for this are apparent. The subject itself is fascinating, the author is prominent, and scientific importance was imparted to the argument by the use of the names of world-renowned Egyptologists and Assyriologists. To the older Church members there was nothing new, or startling, in the proposition upon which the Bishop relied for success in his undertaking. They remembered that the illustrations which form part of the Book of Abraham, were criticized by a couple of travelers through Salt Lake City over fifty years ago, on the very ground the Bishop now takes, after they had submitted them to the scrutiny of a scientist of high repute, M. Theodule Deveria. But they also remembered that Elder George Reynolds in his "Book of Abraham," successfully met these critics. They felt sure that the result of the present discussion would not be different. And this expectation has been fully justified. For the testimony of the scholars appealed to by the author of the pamphlet has been carefully weighed against truth and found wanting in some important particulars. To some of the younger members of the Church the pamphlet, when it first appeared, seemed to contain information injurious to the claim made for the Prophet Joseph as an inspired translator, but, when the alleged facts were exposed to the searchlight and the reasoning was submitted to the test of logic, the worthlessness of the criticism for purposes of honest inquiry and research became apparent. To many, the attitude of Bishop Spalding, after having re-opened the discussion, has been disappointing. They supposed that, before he threw down the gauntlet, he was fully prepared to defend his position, that he was so well supplied with data that he could have met every effort to break down his argument successfully. They hoped for an exhaustive discussion, fair, impartial, scientific, one that would help the student to form an independent opinion on the issue involved. But in the course pursued by him, they have found no help whatever. He has thought best to ignore many of the main points advanced by the other side. An abundance of facts has been placed before him, but there is no evidence that he has even noticed them. At the same time his pamphlet is being circulated, and the impression goes out with it that it is unanswered and unanswerable. In the language of "The Continent" of February 13, this year, a "great hoax has been proved on the 'Mormon' prophet." This, we say, is the impression which the Bishop permits to go forth, by ignoring the other side of the argument. Whether this is in accord with the profession of fairness claimed by the author at the outset, may be left to his own judgment. This has been the effect in many instances. The Bishop has actually awakened an interest in this literary gem, the Book of Abraham. Another effect of this discussion has been to draw out friends of the Latter-day Saints in defense of the Prophet Joseph and his work—friends who, but for such an occasion would have remained silent admirers, like Nicodemus and Joseph of Arimathea in the days of our Lord. The important fact has thereby been revealed that the great cause for which the Church stands has friends and defenders among the educated, thinking classes, of whom the Latter-day Saints know nothing until the emergency reveals them. The Book of Abraham is one of the most interesting and important literary productions in existence. It is older, by several centuries, than the sacred records of the Hebrews. It supplies some important particulars regarding the history of Abraham, showing why he was commanded to emigrate from the land and home of his ancestors. It gives important information concerning the structure of the universe. It teaches the pre-existence of intelligences and the rebellion against God before the creation of the earth. Such are the great truths with which it deals. It is well known that a wonderful civilization flourished in the Nile valley in the very earliest dawn of history. This is one of the great riddles of science. Whence came that civilization? Who planted the seed from which it grew? Who taught the Egyptians their marvelous architecture? Who instilled into their minds ther religious conceptions? Who wrote their ethical code? Who was the great prophet through whose preaching the Egyptians attained a position of leadership among the nations of the world, which was held for thousands of years? In the Book of Abraham these questions are, at least partly, answered. It shows us that the "Father of the Faithful" went to Egypt and proclaimed the true religion, as revealed to him, and when this is known it is as easy to account for the great advancement of the ancient Egyptians, as it is to explain the origin and development of the modern culture which flourishes under the aegis of the Christian religion. Whenever, and wherever, truth sets man free to think and to act, intellectual development is the result. In view of what is here set forth, the importance of the Book of Abraham can hardly be over-estimated. The story of the discovery and translation of this priceless record is told in the History of the Church. From the beginning to the end the hand of Providence is plainly discernible in the circumstances under which it was brought to light. In the year 1831, a French traveler, M. Antonio Sebolo, found several mummies near Thebes, Egypt. He retained eleven of these and started for Paris. On the voyage he took sick, and after a few days of illness he died at Trieste, Austria. The bodies were eventually forwarded to his nephew, Mr. M. H. Chandler, in New York, who obtained possession of them in the year 1833, whereupon he decided to tour the country for the purpose of exhibiting them. In due time he arrived in Kirtland. This was in 1835. He had previously opened the cases and found two rolls of papyrus and a few smaller pieces containing writing. As the Prophet Joseph Smith had acquired a reputation for ability to translate ancient languages, Mr. Chandler, naturally, asked his opinion concerning those records. The Prophet interpreted some of the characters, and Mr.Chandler at once recognized the agreement between his interpretation and that of scientists whose opinion had been solicited. Being satisfied that the records were genuine, some of the Saints in Kirtland purchased them and the mummies. The Prophet Joseph now began to study the text carefully, assisted by Oliver Cowdery and W. W. Phelps. As the work proceeded, he became convinced that one of the rolls of papyrus contained a copy of a book written by Abraham, and the other, one written by Joseph, the son of Jacob. He now redoubled his efforts to understand them. He had very little, if any, access to scientific helps at this time, but he, nevertheless, applied himself to the stupendous task before him, as often as a multitude of other duties would permit, and in seven years his translation of the Book of Abraham was ready for the press. Three smaller pieces of manuscript containing pictures were published and partly explained in connection with the Book of Abraham—one of them being known as a hypocephalus. The Book of Joseph was not given to the public. The mummies and the manuscripts after the Prophet's death, found their way to a museum in Chicago, where it is believed they were destroyed in the big fire which devastated the city in October, 1871. Such is the story of these wonderful records. The hand of Providence, as already stated, is clearly seen in their preservation until the part known as the Book of Abraham and the accompanying illustrations were given to the world through the Prophet Joseph. This is exceedingly interesting information, for it may furnish a clue to the approximate date of the original composition. Critics judge the age of a Ms. from the form of letters, division of words, or lines, material on which they are written, and so forth. Now, Dr. E. A. W. Budge ("Book of the Dead") tells us that the first specimens of Egyptian literature are found upon the walls of the chambers and passages inside pyramids of the fifth and sixth dynasties, and that the characters are hieroglyphics. If the characters of the Book of Abraham had resembled these first specimens, the Prophet Joseph would have said so, and the conclusion would have been that the record belonged to this earliest period. During the eleventh and twelfth dynasties, Dr. Budge says, the texts on the walls were transferred to coffins and sarcophagi, and the forms of the letters were somewhat modified, and became "cursive hieroglyphics." the prophet says the characters he translated resembled these, and the Book, therefore, we may conclude, belongs to this second period. But this was the golden age of Egyptian literature. And it follows so closely upon the epochmaking visit of Abraham to Egypt, as to suggest that the development may have been due to the influence he exerted while there. There is, of course, no absolute certainty about the chronology of those early ages, but the author of the article on Egypt in the New International Encyclopedia says: "The Twelfth (Theban?) Dynasty seems, from recent discoveries, to have begun about B. C. 2000. This period of about 2000 years * * * was considered by the later Egyptians as the golden age, especially of literature, the poetical style of which formed the model for all succeeding periods." The story of Abraham, according to recent chronologists, begins in the year 2333 B. C. Others place the date of his birth from 300 to 400 years nearer our era. But on any calculation it is clear that the golden age of the twelfth dynasty followed the visit of Abraham, almost immediately. The form of the letters on the papyri, and the chronological calculations of recent years, taken together, furnish very strong corroborative evidence of the truth of the claim made for the book, as to authorship. The evidence is strengthened by the probability that Abraham left some record of his life; that Moses had access to some such records, and that Joshua had documentary evidence for his statement to the children of Israel, that their ancestors served "other gods" before their emigration from the land beyond the Euphrates. The author of the Book of Judith no doubt had authority for the statement that the family of Abraham were compelled to leave the country because they refused to take part in the idolatrous worship of the people among whom they lived. (Judith 5:6-8.) Paul may have seen some authentic record besides Genesis for his statement: "The God of Glory appeared unto our father Abraham, when he was in Mesopotamia, before he dwelt in Charran, and said unto him, 'Get thee out of thy country,' " etc., and Josephus may have had a copy of this very Book of Abraham before him when he stated that Abraham taught astronomy to the Egyptians. If, then, Abraham left records to which as late writers as Origen, who, by the way, was an Egyptian, born at Alexandria, had access, there is nothing improbable in the statement that a copy of these records, entire or in part, was discovered in our day in an Egyptian tomb. "And Onesiphorus saw Paul approaching, a man short in stature, baldheaded, crook-kneed, of a fresh complexion, with eyebrows that joined, and a rather hooked nose, full of grace; for sometimes he appeared as a man, and sometimes he had the face of an angel." If a German resident at Cairo did find such an important document, the existence of which was known only through references made to it by ancient writers, such as Tertullian, Jerome, and Chrysostom, there is nothing incred ible in the story of the discovery of the Book of Abraham through the instrumentality of a French traveler, M. Sebolo. We have said that the Prophet Joseph obtained this record providentially. 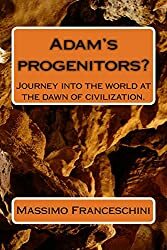 Why, it may be asked, should Providence direct the journey of those papyri and cause them to fall into the hands of the humble prophet of this dispensation? Was it, then, his calling to translate hieroglyphics? In reply to these questions it should be said that the mission of the Prophet Joseph was to proclaim the gospel message to the world, and to establish the Church of the Redeemer, preparatory to his second advent, but part of that mission was to turn the hearts of the children to their fathers. and to link together the past and the present into one grand and all-comprehensive dispensation. There can be no such union, until the present shall understand the past, and realize that it is merely building upon the foundations laid by the fathers. Hence the Prophet Joseph was given the key to the historical and religious treasure house of the past of the American continent: hence he was given to understand, in the Book of Abraham, that the marvelous civilization of the ancient Egyptians had its origin in divine revelation.